The NRF Big Show is happening in New York City, from January 14 to 16, 2018. Come meet us at booth 3867. ACCEO Retail-1 offers retailers infinite possibilities. Manage every aspect of your retail business with a single software that provides everything you need to successfully operate your retail enterprise. Run your point of sale and store operations with a one-source enterprise solution that can manage everything from sales and inventory to employee performance. Use one powerful retail management system (RMS) to manage your entire business. Save time and deliver a consistent omnichannel customer experience. Get the most out of ACCEO Retail-1 with our complete range of business intelligence (BI) applications to support smart business decisions. We have been helping merchants manage their retail business with customized solutions since 1983. Our retail management solution is custom-designed around the needs of mid-size specialty retailers in North America. We offer a complete range of professional services and support seven days a week, including implementation and after sales consulting. A single-source retail management suite for one head office of a specialty retail chain, all store operations, and all points-of-sale. Because we know that your business has unique requirements, ACCEO Retail-1 lets you choose your hardware and store your data information, the way you want. Designed to provide a universal commerce platform, our web store integration comprises a complete and fully-integrated back-office system. 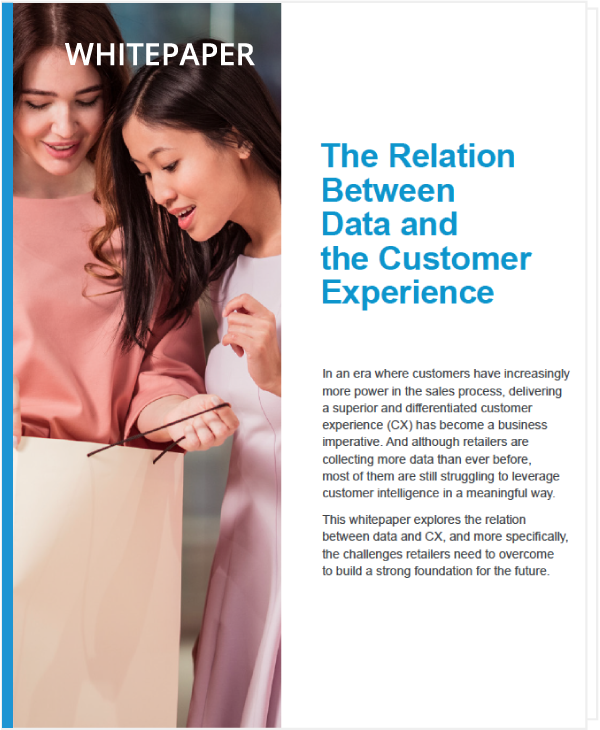 This whitepaper explores the relation between data and customer experience, and more specifically, the challenges retailers need to overcome to build a strong foundation for the future. The ACCEO Retail-1 SaaS model is fantastic! All the necessary infrastructure is in place. You are assured of uptime as well as the most current, newest, and hottest retail software. It’s a win-win strategy. Vice President, Running Room Canada Inc.
Click on your industry to see how ACCEO Retail-1 is a perfect match for your chain. Simon is our dedicated KPI reporting tool. It provides immediate real-time access to inventory, merchandising, store operations, and customer data directly on mobile devices. Key Performance Indicators are specifically designed for retail users at the store, regional office or head office level. Ready for a personalized demo? We can schedule an online presentation to show you how ACCEO Retail-1 works and assess your needs. Retail-1® and ACCEO® are registered trademarks of ACCEO Solutions Inc.